Sometimes, when I’m looking for escapist fiction, I am just not in the mood for something light and fluffy. I think that exciting, action-packed fiction can work just as well as an escape. One book that really sucked me in with all the danger and plot twists was Thr3e by Ted Dekker. Ted Dekker is a Christian author whose books, while containing religious themes, can appeal to an ever wider audience. Even if you are not a Christian, I think that you can absolutely still enjoy his books as well as Frank Peretti’s books. They are very similar and write excellent horror thrillers. 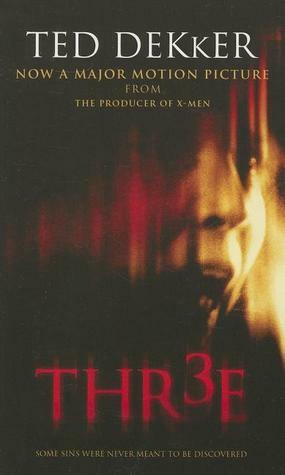 Thr3e was one of the wildest literary rides I’ve been on. It was very fast-paced and I just couldn’t put it down. I had been told that there was a big plot twist at the end (and there is) so I just wanted to discover it as soon as possible. It was well worth the read! In this book, the character of Kevin receives a mysterious phone call from someone who tells him that he has three minutes to confess his sins to the world or there will be dire consequences. When he ignores the phone all, his car explodes, and he embarks on a path of danger and self-discovery, trying to uncover the identity of caller and making peace with his own past. I don’t want to say too much more because I don’t want to risk revealing too much about the exciting twist, but this is a great book. It was filled with a wonderful amount of suspense and a thrilling plot. I definitely recommend this one for anyone who is looking for a high-octane escape.